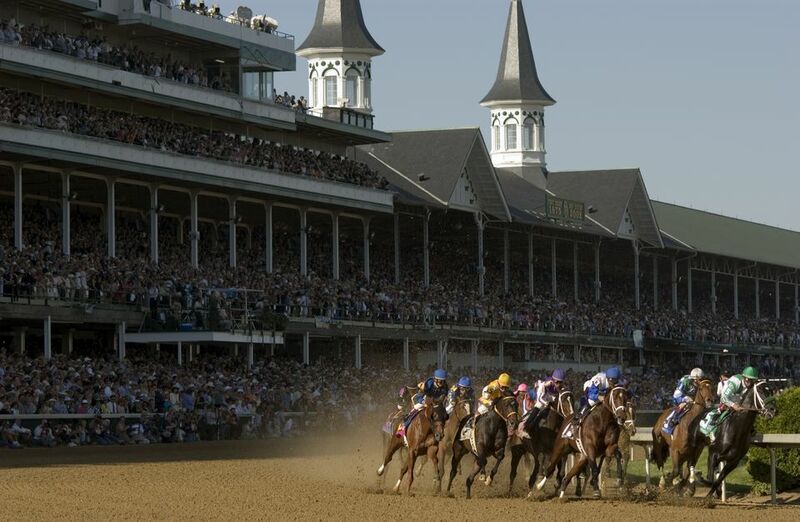 There are plenty of reasons to go to Louisville, namely for the Run for the Roses at the Kentucky Derby, always the first Saturday in May. If you're going to Louisville, Kentucky, you need to know what time zone Louisville is in. Same goes if you are making a trip to Louisville on business, for sightseeing, or to visit friends. Louisville is on the western edge of the Eastern Time Zone. So while it might seem to you that it is close to the center of the country, Louisville is in the same time zone as New York City and the entire eastern half of the country. It changes from standard to daylight time with the rest of the United States, in March and November. Kentucky straddles two time zones, Eastern and Central. This can be confusing for people new to the state or traveling through. The western part of Kentucky (including Bowling Green) is in the Central Time Zone, while the eastern portion of the state, including Louisville and Lexington, is in the Eastern Time Zone. Travelers take note: Indiana, just over the bridge from Louisville, is also a state with two active time zones. Daylight Saving Time (DST) is a practice of changing the time on the clocks so that in the summer months there is another hour of daylight in the evening and, conversely, in the winter there is another hour of light (or almost light) in the morning. Daylight Saving Time was made federal law in 1966, but Arizona and Hawaii have opted out, and residents of those states stay on standard time all year and do not change their clocks with the rest of the country in March and November. That extra hour of daylight from DST gives people more opportunities to take advantage of daytime activities and save energy by using less artificial light. In addition, it is possible daylight saving time shifts help to lessen car accidents because the sun is out during high-volume traffic times. Farmers have opposed DST since animals live by internal clocks. So, for example, dairy farmers have noted that shifting time makes milking challenging because cows are used to a set schedule. This was a more prevalent complaint in the past, but now more and more dairy farms use modern machinery to regulate milking, so it is less of an issue for many farmers. The adjustment to "springing forward" and losing an hour causes a loss of productivity on what's called "Sleepy Monday," and there's a reported increase in accidents during the first week of DST.